How do I change the color of a text box if there is no data in it? I am a total noob here. I have seen answers here about using formulas, but I don't know where to enter the formula. I want a text box to have a yellow background if it is blank (null). Unfortunately, changing the color of an actual cell isn't possible in native quickbase. You may be able to do this with dandiebolt's image onload technique https://quickbase-community.intuit.com/questions/58587-the-image-onload-technique, however it is most certainly not noob friendly. 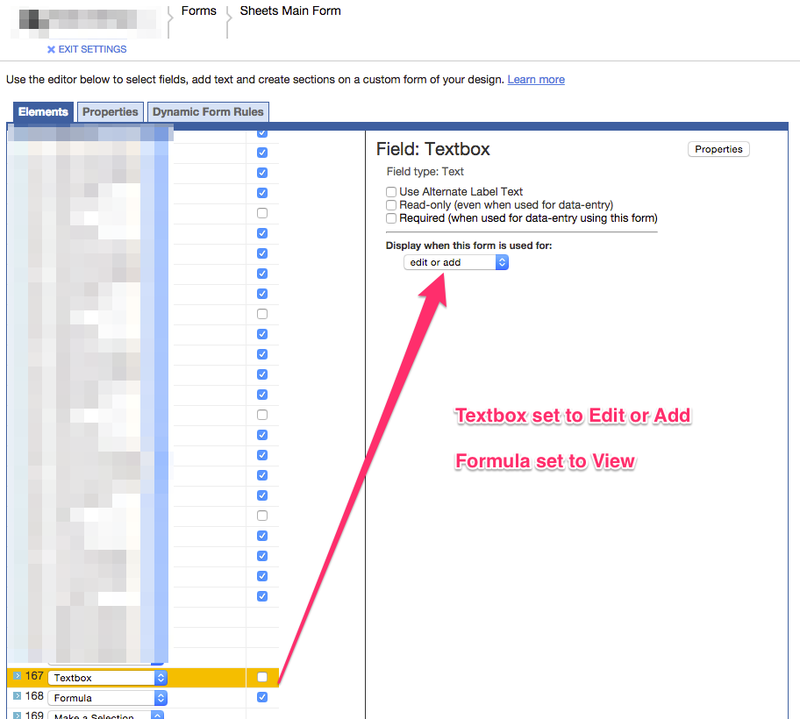 Users cannot directly enter data into a formula field so at a minimum you will need two fields. Field 1: Text - "textbox"
Field 2: Formula - Text - "formula"
Now that you have the form set up, lets work on that formula. Replace PUT YOUR IMAGE LINK HERE with any of these icons https://www.quickbase.com/db/bcgnn27bx?a=q&qid=10. We are using this as an alternative to changing the cells color. Hopefully it will work for you, I regularly use these in my apps. Ensure that the "allow html to be used" is checked in the properties of your formula field (right above where the code goes!) and click save! You should be all set! Hopefully this works for you, I know it isn't exactly the same as changing the cells color, but adding an image is a useful alternative!